Welcome to Time for Me, a complementary health practice in the historic town of Kenilworth in Warwickshire, focusing on health and wellbeing through clinical (rather than a beauty-type foot massage) Reflexology and NST Bowen, both regulated by the Complementary and Natural Healthcare Council (CNHC). Bowen Technique is a gentle touch therapy which compares very well in effect with chiropractic, osteopathy and physiotherapy. Clinical Reflexology is a holistic therapy generally carried out on the feet but can also be carried out on the hands and even the ears. 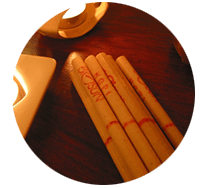 Thermo-auricular therapy (ear candling) is also available combined with ear or hand reflexology to suit. All of our services work with you holistically with the aim of restoring you to health as quickly as possible. 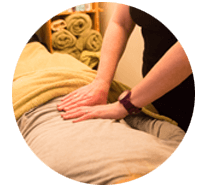 Specialist techniques are combined within your chosen service in order to best facilitate our work: lymphatic drainage, hormone balancing and nerve work as appropriate with the addition of kinesiology testing, eft and more. Clients range in age from just a few weeks old to nonagenarians, and are approximately 50:50 male : female. The aim is to deliver results efficiently and effectively within the shortest number of sessions. Although many clients choose to continue with maintenance according to their need, there are many others who find that they are fine after a couple of sessions, only getting in touch if other issues arise often many years later. Our particular interest is in clients who have medical conditions of long standing from which they are seeking relief, or where they are under a rehabilitation programme to help them get their lives back. Whilst clearly you should always consult your GP for medical advice sometimes you will reach a point where you are told there is nothing further that can do to alleviate the symptoms other than prescribe a variety of drugs, often with a wide range of side-effects, or offer advice on lifestyle changes. Depending on the symptoms and your own preference any of the options offered by Time for Me (of Kenilworth) may offer relief from your symptoms as each aims to trigger the body’s own healing system to start making its own adjustments. Not a holy grail, you will know within one or two sessions whether or not you are experiencing a change in your symptoms be they pain, stiffness, inflammation, etc. Finding out whether you are one of the many for whom these services can really help starts by taking one step. Call 01926 289189 today. If you are concerned about your health, always see your doctor (GP) for diagnosis and treatment. None of the services listed above are intended as substitutes for medical advice or treatment.